Eight people died in separate auto crashes in Ondo State, yesterday. Six died in an accident along Owo/Akure Road while two others died in the state capital. The six persons reportedly died on the spot and 10 others sustained serious injuries in the lone accident which involved a Benue State-bound bus coming from Ogbomoso, Oyo State and headed to the northern part of the country. 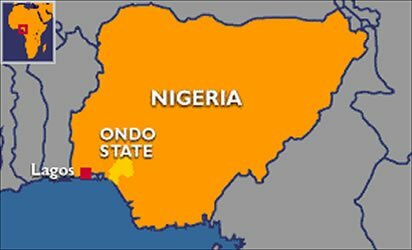 A witness said the incident occurred on a bridge between Ajowa and Gedegede, in Akoko North West Local Government Area of Ondo State. Sources said it was the heavy bang from the vehicle that attracted residents of Gedegede; who rushed there and met the vehicle in flames. It was gathered that officials of the Federal Road Safety Corps (FRSC), Ikare Unit, rushed to the scene to rescue accident victims. Ondo State FRSC Sector Commander, Mr Rotimi Adeleye attributed the carnage to recklessness of the driver and the night journey; which might affected his visibility. He also noted that tiredness, due to sleepless night and over-speeding at a sharp corner, close to the bridge, might be another cause of the incident. Also in Akure, the state capital, two young men, including a popular entertainer, simply called Tobi, and his friend (name unknown), died in a road crash near the popular St. Peter’s College area, at Adegbola Junction, Akure. They were allegedly coming from a club house when the driver lost control of the vehicle, which forced it to veer off the median and crashed.